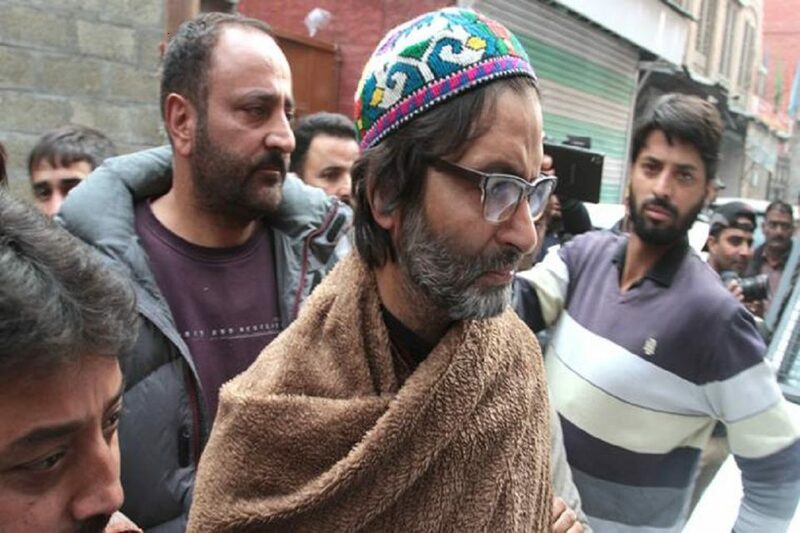 Yasin Malik was brought to Delhi after a special NIA court in Jammu gave the go-ahead for his custodial interrogation by the probe agency, they said. Malik was brought to the national capital Tuesday evening after a special NIA court in Jammu gave the go ahead for his custodial interrogation by the probe agency, they said. The NIA registered a case on May 30, 2017 against separatist and secessionist leaders, including unknown members of the Hurriyat Conference, who have been acting in connivance with active militants of proscribed terrorist organisations Hizbul Mujahideen, Dukhtaran-e-Millat, Lashkar-e-Taiba (LeT) and other outfits and gangs. The case was registered for raising, receiving and collecting funds through various illegal means, including hawala transactions, for funding separatist and terrorist activities in Jammu and Kashmir and for causing disruption in the Valley by way of pelting stones on the security forces, burning schools, damaging public property and waging war against India, the probe agency said in the FIR. Hafiz Saeed, the Pakistan-based chief of the Jamaat-ud-Dawa, the front for the banned LeT, has also been named as an accused in the FIR.